Lisa Durden, a former adjunct communications professor at Essex County College who was fired after making controversial comments during an interview on Fox News, has entered politics. New Jersey Green Party gubernatorial candidate Seth Kaper-Dale named Durden, 53 of Newark, as his pick for lieutenant governor Tuesday, becoming the first candidate in the race to announce a second in command. Police find 'Kill a cop' graffiti in South Philly. Again. "We need the lens through which Lisa Durden sees the world," Kaper-Dale said in a news release. "Could you imagine debates this fall, friends, with Seth Kaper-Dale, pastor and activist going up against Goldman Sachs and Christie's Lieutenant Governor? Could you imagine debates with Lisa Durden going up against anyone the two corporate candidates might choose?" 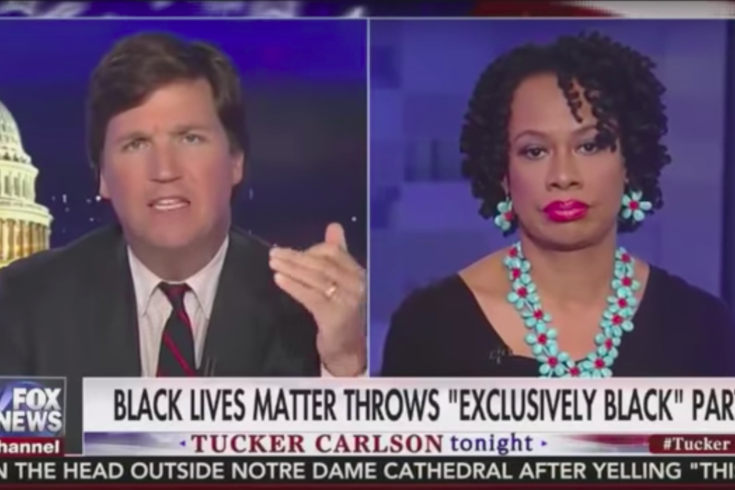 Durden appeared Fox News' "Tucker Carlson Tonight" in June where she drew ire for defending the New York chapter of Black Lives Matter's decision to host a Memorial Day party where only members of the black community were invited. "You white people are angry because you couldn't use your 'white privilege' card to get invited to Black Lives Matter's all-black Memorial Day celebration. Wow," Durden said on the show. "You've been having 'White Day' forever," she later added. Carlson called her comments "hostile and separatist and crazy." In the aftermath, Durden first was suspended by Essex County College and fired weeks later. Durden hinted at the announcement on her Instagram account Monday, teasing it as "the biggest decision of [her] entire life." Kaper-Dale is an American Protestant pastor up against four Democratic and two Republican candidates for governor. Republican candidate Kim Guadagno is set to announce her pick Thursday, though multiple media outlets have reported Mayor Carlos Rendo of Woodcliff Lake, Bergen County, who has connections to Sen. Marco Rubio, will be the nominee. Democratic candidate Phil Murphy is likely to choose Assembly Speaker Sheila Oliver, a former U.S. ambassador to Germany.